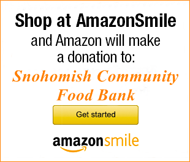 We are excited to partner with the Snohomish Food Bank once again this year to support the Tree of Giving and to help fund the important work of the Food Bank during the holiday season. We will post signs at Bickford Ford, to encourage our employees and customers to donate to the Food Bank. We will accept cash and checks from both employees and customers and then forward the funds to the Food Bank. We will match contributions (up to a total of $10,000.00), thus DOUBLING the amount that people contribute. We will also have a donation container if people choose to donate food or toys. Our commitment to the Food Bank is that the dealership will contribute $10,000.00, regardless of the amount contributed by employees and customers. 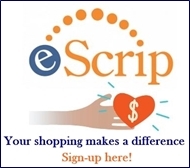 We will provide a check to you when you are ready to go shopping for the gifts to be distributed via the Tree of Giving. We will also inform our employees of the opportunities to help at the Food Bank and during the Tree of Giving distribution weekend. Blessings to you and your staff and volunteers!